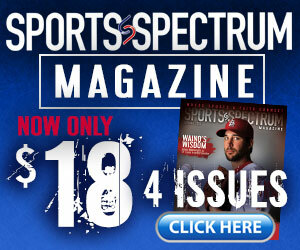 Thanks to your help, Sports Spectrum Global recently produced its second Christian sports magazine for Russia. Our friends in Russia are distributing the magazine through our digital platform, social media, street evangelism through trading cards, and through the local church. This magazine was created specifically as a tool for sports ministers to use in Russia during the 2014 Winter Olympics in Sochi. We are building other international magazines, as well, including a special World Cup magazine that will be used in Brazil and translated for other countries. Click here to view SS Global’s first Russia issue. Click here to view SS Global’s second Russia issue. Click here to learn more about Sports Spectrum Global.